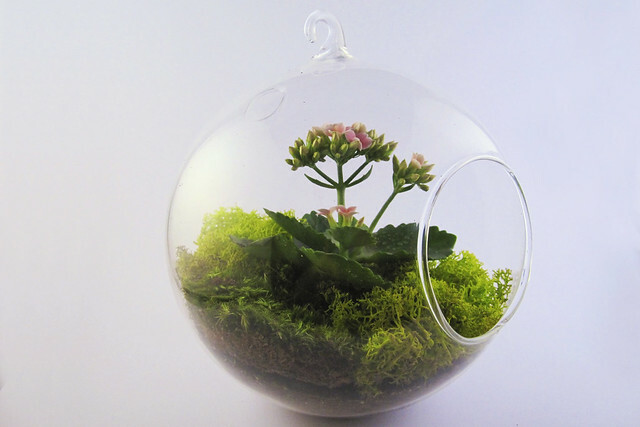 My recent interest in horticulture has sparked new hobbies. It started with a bonsai and a hanging plant from Home Depot. Then a window box of flowers and herbs. 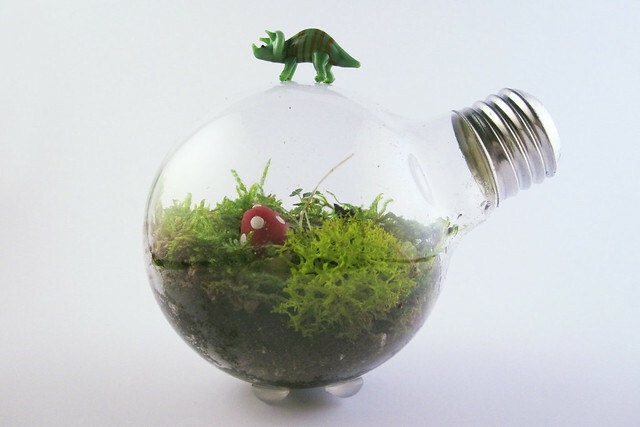 Now miniature moss filled worlds. 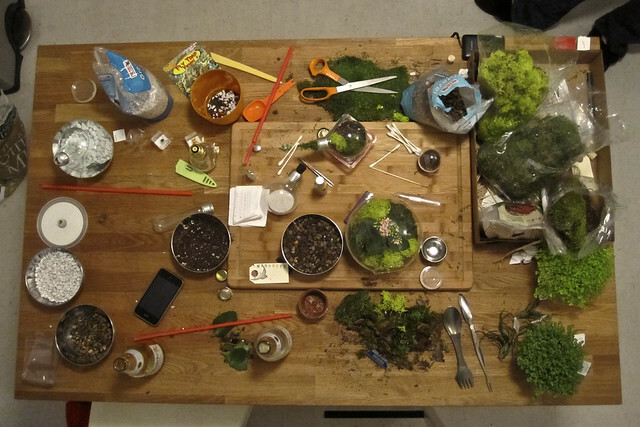 Here are two terrariums and the table from last nights DIY terrarium party.